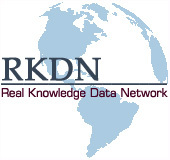 ©1997-2014 Real Knowledge Data Network All Rights Reserved. All trademarks or copyrights remain the property of their respective owners. USE OF THIS SITE SIGNIFIES YOUR AGREEMENT. The opinions expressed or represented herein do not necessarily reflect those of da cap'n.